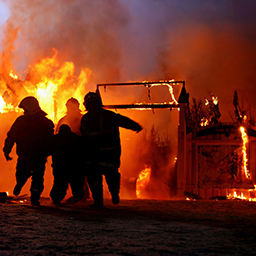 Burn injuries are one of the most devastating forms of trauma. Those with serious third-degree burns require immediate and specialized care. Many burns lead to permanent damage or even death. Unfortunately, burns can happen in a variety of circumstances. Car accidents, faulty wiring, and malfunctioning parts can all result in a lifetime of suffering. If you’ve received a serious burn, don’t hesitate to contact Otorowski Morrow and Golden, PLLC. Our burn injury attorney in Seattle, WA is ready to help. When you visit our legal office, you can expect to receive only the most compassionate and reliable care. We have a highly experienced physician on staff who can assess your injury. We also have a team of experts who can investigate your case to determine the cause of the fire. Once we have the full details of your case, we can represent you in court. With our help, you can ensure that whatever or whoever caused the injury will be held responsible. Although a lawsuit cannot undo the injury, it may provide you with adequate compensation for your pain and medical expenses. You won’t have to worry about covering the costs of surgeries, skin grafts, hospitalization, and other medical bills that resulted from your burn. The staff at Otorowski Morrow and Golden has plenty of experience helping burn injury victims, so you can rely on us to present a solid case in your behalf. If your injury has left you hospitalized, we’ll be more than willing to come to you to discuss your options. Call us at 888.842.1001 for a consultation, or submit your case online through this form. Our burn injury attorney in Seattle, WA will meet with you shortly.